Medical malpractice results when a health care professional fails in his or her duty to a patient, and an LA medical malpractice attorney may help determine if negligence occurred. If this failure harms the patient, filing a lawsuit to recover damages for financial loss is possible. Health care professionals must provide a predefined standard of care. Generally, this standard involves the care provided to a similar patient who lives in the same geographical area. The care is based on the patient’s age and medical condition. Failing to provide this care may result from a negligent action. Proving that the health care professional’s negligence caused injury to the patient is the crux of a malpractice lawsuit. Consulting LA medical malpractice attorneys to see if negligence occurred is the first step. Negligence has certain features that must be present. For instance, a doctor-patient relationship must exist, and the doctor must have deviated from the expected standard of care resulting in injury to the patient. To establish that the health care professional’s treatment was negligent, a medical expert’s opinion is often needed. An LA medical malpractice attorney may assist in obtaining an expert’s review of the case. Medical negligence may result from a variety of errors. A doctor may misdiagnose the patient. Failing to diagnose correctly or in a timely fashion may cause the patient’s condition to worsen and move beyond the point where treatment is effective. In addition, a physician may prescribe the wrong medication or one that interferes with other medications the patient receives. 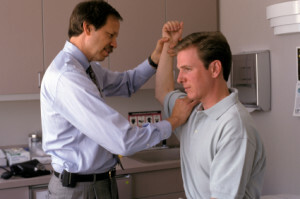 The physician might misinterpret X-rays or other diagnostic tests, causing harm to the patient. In such cases, treatment might be erroneously delayed. An LA medical malpractice attorney may help establish negligence by reviewing the case. Surgical error involves a variety of mistakes made during a surgical procedure. It might be the result of oversedation, operating on the wrong body part, wrongful amputation, or leaving objects in the body during surgery. This may result in permanent damage or death. When an invasive diagnostic test is done or a medical treatment is prescribed, the doctor must explain the risks associated with it. The explanation must be clear and understandable to the patient. In many cases, it must be in a written format, and the patient must sign that he or she understood the reasons for the test or procedure as well as the risk. If informed consent is not provided, the health care professional may be considered liable. In some cases, the hospital may be considered negligent. The reasons might range from inappropriate nursing care or inadequate infection control. If you have suffered harm due to medical error, contacting an LA medical malpractice attorney may be beneficial. The attorney may help file the malpractice lawsuit to recover pecuniary damages. Call Martin Stanley Law at 310.399.2555. A Los Angeles personal injury attorney may be able to help you prove that a driver was at fault for your accident-related injuries. When another driver is negligent, he or she is usually held responsible for any injuries you sustained as a result of that negligence. Negligence claims are based on duty, breach, causation, and damages. Each of these factors must be in place for the greatest chance of success in court. Drivers in each state have a legal obligation to one another to operate their vehicles in a non-negligent or responsible way. If a driver acts negligently in a way that is potentially harmful to other drivers and property, he is usually responsible for any harm caused. Commonly negligent offenses include violating traffic laws, disregarding the speed limit, ignoring traffic signs, and failing to signal while making a turn. Each rule is common knowledge and enforced by local laws and ordinances, so all drivers are expected to uphold these rules and act in a non-negligent manner while sharing the road. When it comes to the duty of care, any violation that results in an action that could reasonably cause harm to others is known as a breach in the duty of care each driver has agreed to by using the road. A breach of these basic duties constitutes negligence, whether the damage is to a person or physical property. Drivers who breach the basic duty of care to other drivers, bicyclists, pedestrians, and other people can be held legally responsible. Even minor breaches, such as failing to use a turn signal, speeding and failing to come to a complete stop may constitute negligence even if no harm results from them. All drivers commit minor breaches in the duty of care, which can lead to a “no harm, no foul” attitude. However, when a car accident occurs, the same seemingly minor errors may lead to serious liability. Many car accident negligent claims are based on major breaches of error. Drunk driving, excessive speeding, and running red lights can cause catastrophic or fatal injuries. Some breaches are intentional, which can turn the negligence case into a criminal matter. Causation refers to the extent to which a negligent driver’s breach of duty caused your injuries or other damages. If the driver’s actions are found to be the cause of your losses, your case will likely be successful. Los Angeles personal injury attorneys may be able to help you prove that your injuries were caused by the other driver’s breach in duty. Causation comes in cause-in-fact and proximate cause forms. Cause-in-fact refers to a negligent act that directly resulted in an injury or loss. If you were struck by a car in the crosswalk and broke your arm, the accident would be the cause. Proximate cause is known as “but for causation,” which means that the breach may not have directly resulted in your injuries, but that they would not have occurred if it had not happen. For example, if you fall while attempting to escape a car traveling through the crosswalk, the driver may not have caused you to fall directly but you would not have been injured if he had not been in the crosswalk. Damages also come in several different varieties. Pain and suffering is an umbrella term that describes emotional as well as physical damage caused by an injury. Economic damages are more easily quantified with exact figures and include the financial costs associated with injury. From medical bills to lost wages, economic damages are often easier to prove in court than non-economic damages. Car accident laws vary significantly from one state to another, but the basic components of a successful negligence claim do not. Los Angeles personal injury attorneys may be able to help you determine the laws of your jurisdiction. No-fault states require all drivers to hold auto insurance policies and collect from their own policies, even if the other driver was at fault. Damages over a certain amount may be pursued through a personal injury case. 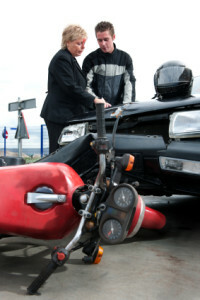 Some states include the injured person’s negligence when considering the liability of the other driver. If the other driver is at fault but your actions are determined to have played a role in your injuries, the damages you can collect may be significantly less. This is one of the reasons it is important to have proper representation while in court. Contact Martin Stanley Law today at (310) 399-2555 for a Los Angeles personal injury attorney you can trust to help you file a successful claim.